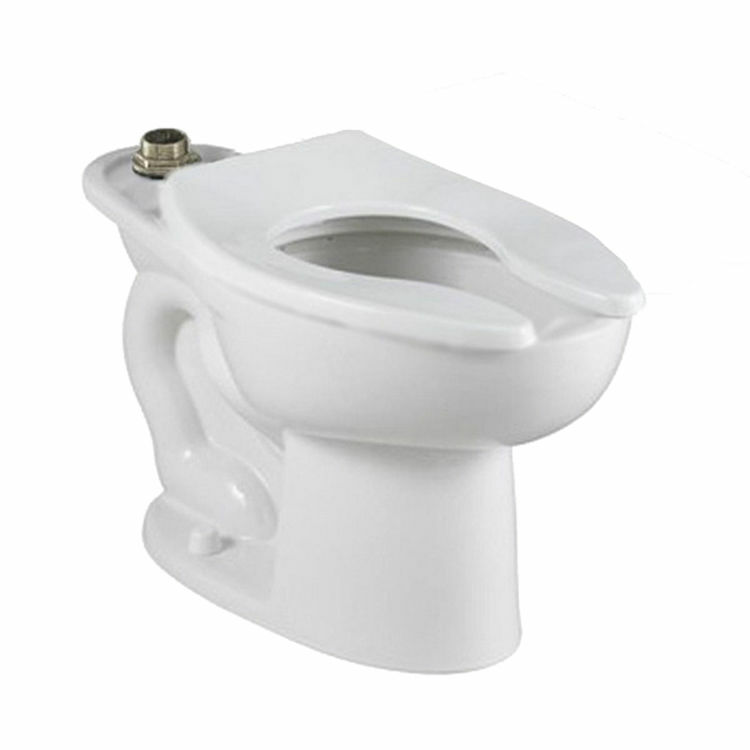 American Standard 3466.001.020 Madera FloWise Elongated Bowl Only Top Spud with Slotted Rim for Bedpan Holding with 4 Bolts, White. This elongated bowl features a top spud, an EverClean surface that inhibits the growth of bacteria, mold, and mildew, and 4 anchoring holes in the base. Shipping Dimensions 28.0" x 16.0" x 18.3"